Sridevi the living legend of the Bollywood fraternity celebrates her 53rd Birthday today. Does she even look like a lady in her 50’s? Sridevi is fit and gorgeous. Sridevi is the first actress who has been given the tag of ‘Superstar’. Along with this fact, we came across some unknown facts about this pretty lady am sure you too will love to know more about Sridevi. When this superstar was born on August 13, 1963, she was named as Shree Amma Yanger Ayyapan, and after entering to Film industry this beauty changed her name to Sridevi. Sridevi started her career as a child artist at the age of four in the Tamil movie Kandhan Karunai. When Sridevi made her debut in Bollywood, Sridevi was not comfortable talking in Hindi. Her voice was mostly dubbed by Naaz. Sridevi dubbed for her dialogues for the first time in Chandni. Sridevi has worked in Hindi, Tamil, Telugu, Malayalam and Kannada films. Steven Spielberg wanted to cast her in the Hollywood blockbuster ‘Jurassic Park’ but Sridevi didn’t want to lose out Bollywood projects, hence rejected the offer. 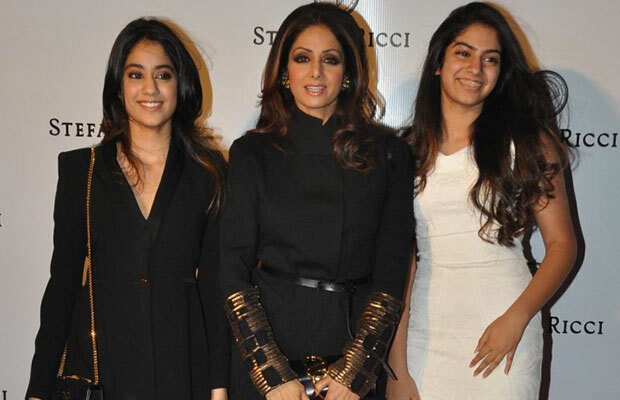 Sridevi has named her two daughters after two famous Bollywood characters – Jhanvi and Khushi. In the year 2013, Sridevi was awarded the prestigious Padma Shri Award by the Government of India.